I'm playing John Sheppard's beautiful Western Wind Mass in my Future Radio programme this Sunday, November 18. 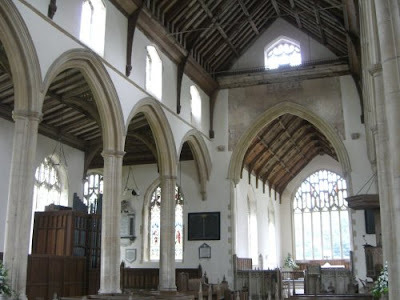 The CD was recorded by the Tallis Scholars in Salle Church here in Norfolk, and my header photo shows the interior of the magnificent Anglican church. The music in this Sunday's programme is a catholic selection. Sheppard's Western Wind Mass was probably composed in the reign of Queen Mary who briefly returned England to Catholicism. Edmund Rubbra, whose Fifth Symphony is the second work in the programme, was a mid-life Catholic convert. Like Thomas Merton, he went to explore Buddhism, but unlike Merton he also became interested in Taoism. My catholic selection is on Future Radio at 5.00pm this Sunday, November 18. And remember, you can help shape the future of internet radio later that evening.